Obtaining a working visa in China comes with a number of steps which take time. From start to finish including apostles takes minimum 2.5 months; there are a number of documents you'll need to know about during the process of obtaining residency we've supplied a full documents list here. For your reference (Because it may seem like a wild-goose chase!) 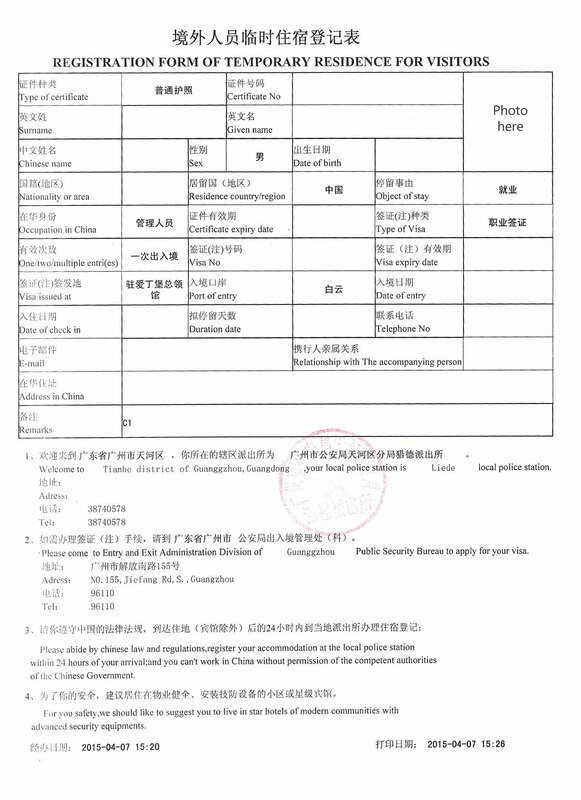 the full details of processing a working visa and residency permit for foreigners in China are listed below. Keep in mind when you arrive in China you'll need a lot of photos, so get these done at your nearest photo shop and keep them in your passport until you get your residency visa! a.) Submit your resume, passport copy, signed contract/letter of intention of employment, TEFL and medical check to your employer. Full details about preparing these documents here. b.) Start processing your Apostled BA Degree and criminal background check as early as possible. It can take several weeks to complete the apostle process, so we recommend to get started before you start interviewing. c.) Wait a few weeks for your employer to confirm the documents are okay and you're good to make preliminary preparations to leave. You can give your letter of resignation to your current employer at this time, you can start to make preparations for the move at this stage. E.g. arranging for your belongings to be sold/stored. 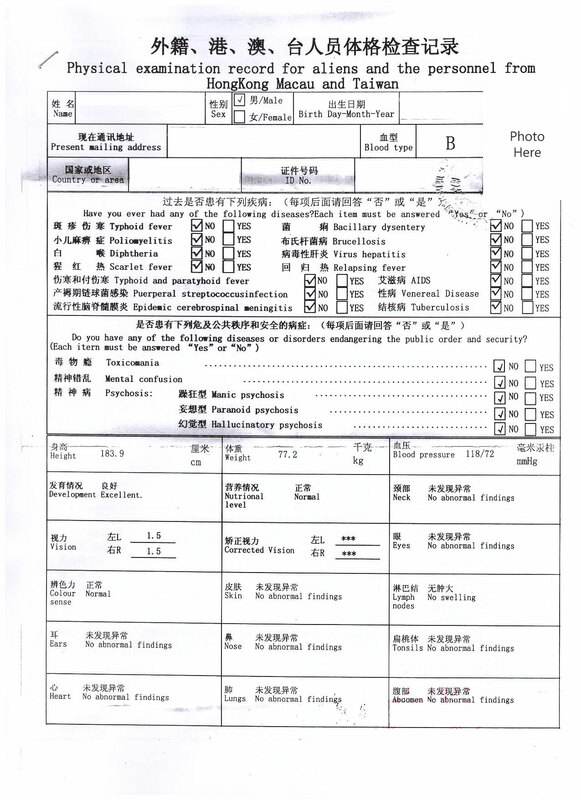 e.) After you receive your invitation letter, Go online to visaforchina.org and select the Chinese embassy nearest you. 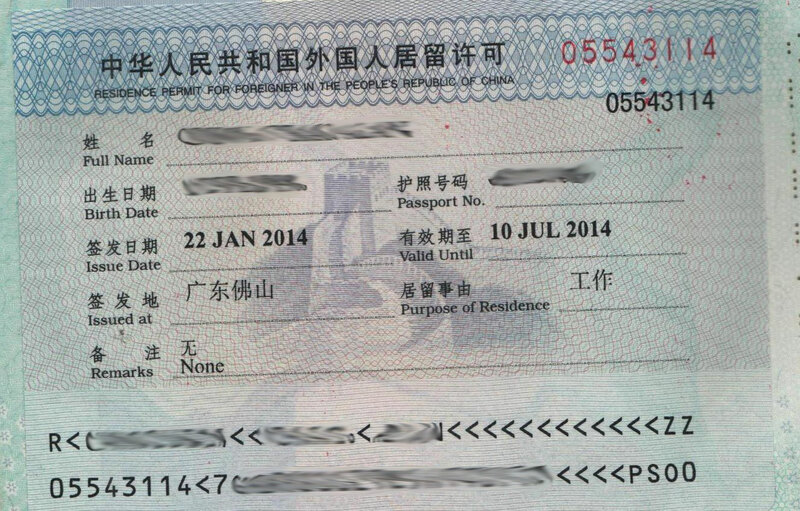 Note, you must send your application to any Chinese embassy within the country on your invitiation letter (if you are not in your home country at the time of getting an invitiation letter you must let your employer know ahead of time the country where you are applying your Z visa - Secondary Note. If this is not your home country you must have residency in the country where you are applying for a working visa). You may also send your application to any Chinese embassy in your country if there is more than one; For example in the UK, I recently applied for a working (Z) visa from the Chinese embassy in the far north, Edinburgh when I live in the far south Bournemouth. My turn around time from sending my passport to receiving my Z visa was 5 days all-in. Sent Monday morning, received Saturday morning! Update: Chinese embassies in the UK are no longer allowing applications by post due to fingerprints being required. Please always check the Chinese embassy website in your country ahead of time to plan for either an in-person or by-post application. 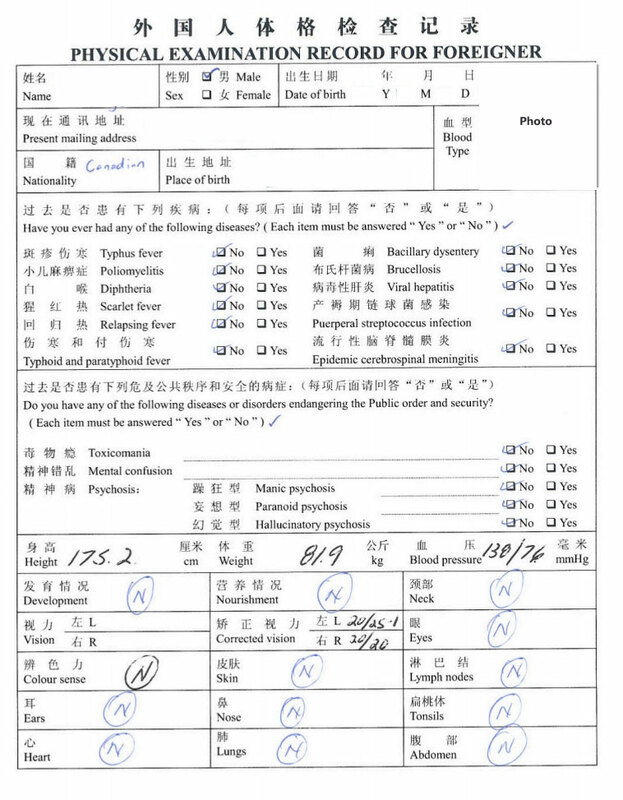 Helpful notes: When filling out the visa application form you should select that you're applying to work in China, you only need 1 entry valid for 1 month as your Z visa will be converted to a multiple entry residency visa after you arrive. The Chinese embassy in your home country will not issue a working visa for longer than 3 months. g. ) Arrive in China, the first day you arrive take your passport to the nearest police station (If you're living in a Hotel, ask at the reception desk about getting the temporary residence document completed, they will probably do this for you in nicer hotels, ask them for the copy). Take along 2x passport photos, You will get your passport back immediately, although the document will take 1 working day to be processed. Full details here. h.) Go for your full medical 2x more passport photos needed (Your employer will let you know where, this cannot be any hospital, each city has a special department to handle this). Take your passport with you! This will take 3-4 working days before you can collect it. i.) Give scans of your Z visa, temporary residence document and your new (original) medical (in most cases your employer will collect your medical from the hospital for you). Your employer will then apply for your working permit card. j.) After 1-2 weeks, You will need to go with your employer to the entry-exit bureau to get your residence visa. Bring your passport, original temporary residence sheet from Step g) and more photos (These ones need to be Visa photos with a bar code, you can get these in the entry-exit bureau in most cases). The residency visa cost for the entry-exit bureau is around 800RMB, Leave your passport with the entry-exit bureau and they will put a 1 year multi entry full residency visa in your passport. k.) After 1 week (check the sheet the entry-exit bureau give you) collect your passport and take your passport, work permit card and to your nearest police station to where you are living and apply for the updated temporary residence sheet again. 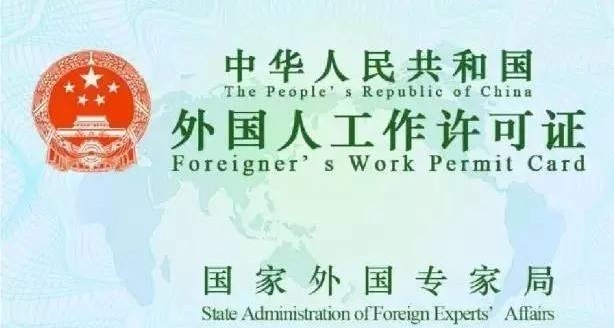 Now you're fully legal foreign employee in China.